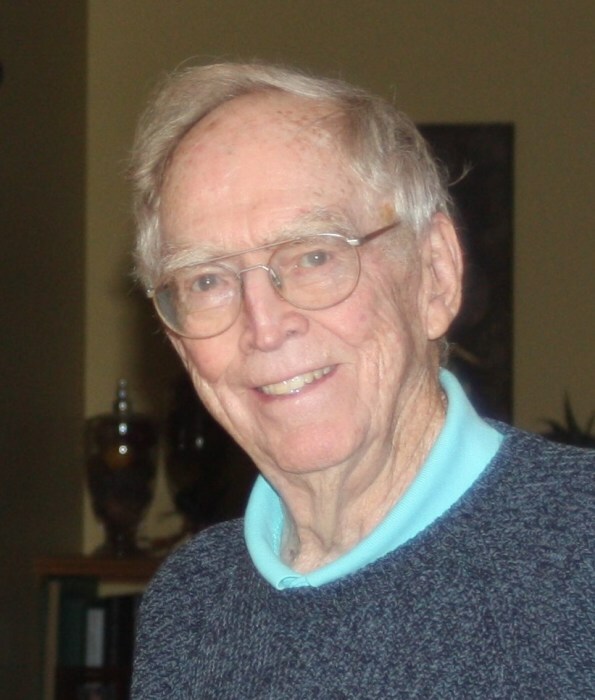 John Charles Whittemore, 85, of Glenwood, MN, passed away peacefully in the presence of loved ones on July 10, 2018. Funeral services will be held on Friday, July 13 at 3:00 p.m. at Glenwood Lutheran Church. Visitation will be one hour prior to the service at the church. Burial will follow at Grove Lake cemetery. Arrangements are by Hoplin-Hitchcock Funeral Home in Glenwood. John, affectionately known as Chuck to many, was born the son of James Gooch and Nellie Elizabeth (McLean) Whittemore, on August 17, 1932 in Glenwood. He graduated Glenwood High School and went on to serve his country during the Korean War in the Air Force. It was in the Air Force where he became interested in technology, where he worked on advanced on-board radar systems on B-47 and B-52 bombers. During this time two important blessings occurred: his marriage to Lois Jean Kliewer and the birth of his first son, David Jay Whittemore. Following the Air Force, Chuck attended the University of Minnesota where he earned his degree in Electrical Engineering. While at the U of M, Chuck and Lois become lifelong friends with the Village Gang. Upon graduation, Chuck embarked on an engaging career in the field of technology. Chuck applied his brilliant mind and tireless efforts to missile systems, large-scale engineering projects, and leading-edge process control systems. In the early part of his career, another blessing: the birth of his second son, Charles Henry Whittemore. Chuck’s career took him and his family to many different parts of the country, and after his career ended Chuck and Lois enjoyed a long and happy retirement in Glenwood. Even with all that success, there was something missing. To fill that void, Chuck and his brother, Jim Whittemore, bought a farm together near Glenwood. They worked together for several seasons before Chuck returned to his career. Chuck is survived by his wife, Lois, of Glenwood; son, Charles (Lynda) Whittemore of Eden Prairie; daughter-in-law, Julie Whittemore of Donnelly; grandchildren: Erik (Melissa), Nate, Sam, Emma and Henry; his siblings, Sally Melling, Donna Reeves and Herb; his sister-in-law, Joyce Soyster; and a large number of nieces and nephews including Beth Jones, who was a blessing to Chuck’s family in the last days of his life. Chuck is preceded in death by his parents; his son David; and his siblings: Willard Whittemore, Mary Nelson, Jane Schopper, Nancy Earl, Jim Whittemore, and Betty Shannon.